Russia's expulsion of 755 personnel from US diplomatic missions in Russia is of an unprecedented scale in modern history and could deal a devastating blow to US intelligence and 'democracy promotion' operations in Russia. The Obama administration in the end failed to heed Tefft’s warning. 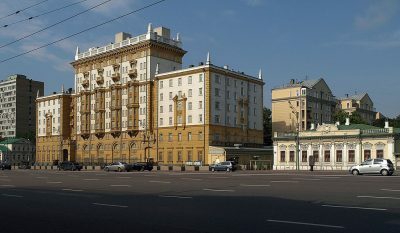 Though in the event the Russians in December stayed their hand as they waited to see what the new Trump administration would bring, now that the US Congress has voted to increase the sanctions on Russia and with the return of seized Russian diplomatic properties in the US ruled out, the Russians have finally responded. Their response must however go beyond Tefft’s worst fears.